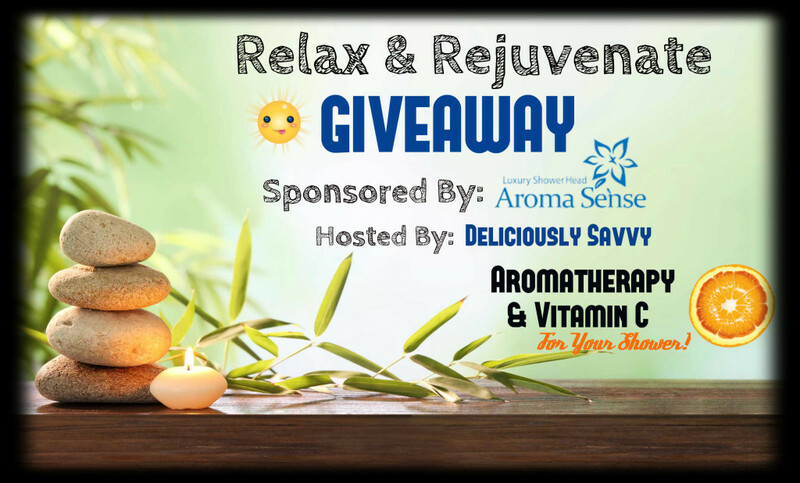 Deliciously Savvy is Hosting a Giveaway for Aroma Sense! 1 Lucky Winner will receive an Opus Wall Mounted Vitamin C Shower Head valued at $90! This is the perfect way to Relax & Rejuvenate every time you take a shower! Enter Today & Good Luck! PLUS a Big Thank You To All Blogs Participating to Promote! Thank You! 1 Lucky Winner Will Receive an Opus Wall Mounted Vitamin C Shower Head valued at $90!!! Comes with a Vitamin C Cartridge and 2 Filters! This giveaway will end at 11:59PM (EST) on 05/19/2016. Deliciously Savvy did not receive any form of compensation for this giveaway other than receiving this item in order to facilitate my review. Once winner is selected via the Rafflecopter process, the product will be shipped. Winner has 48 hours to respond or another winner will be chosen. No other blog associated with this giveaway is responsible for the product shipment. AromaSense will be providing the prize above to the winner. Thank You for stopping by! Any Questions or Concerns email me at mcushing7 (at) hotmail (dot) com.